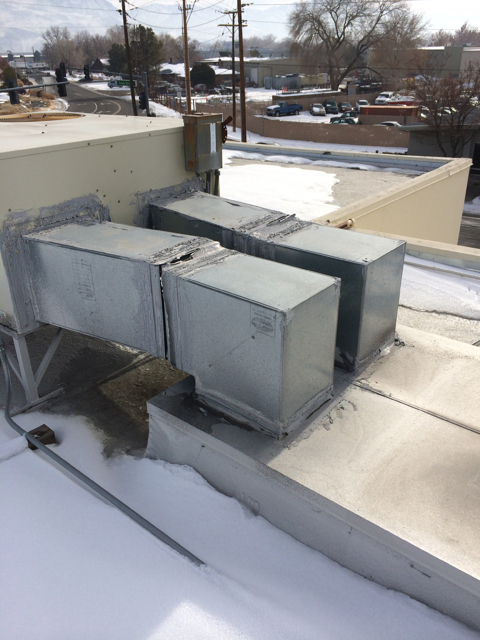 Un-insulated, leaky and inefficient ductwork. 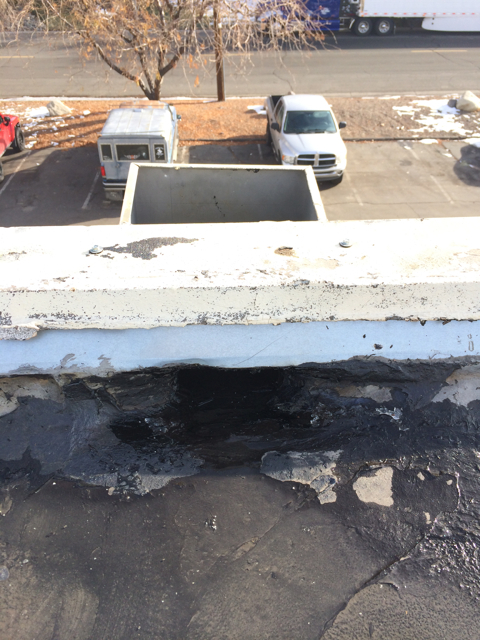 Nearly impossible to service scupper drains with multiple (and leaking) flashings. 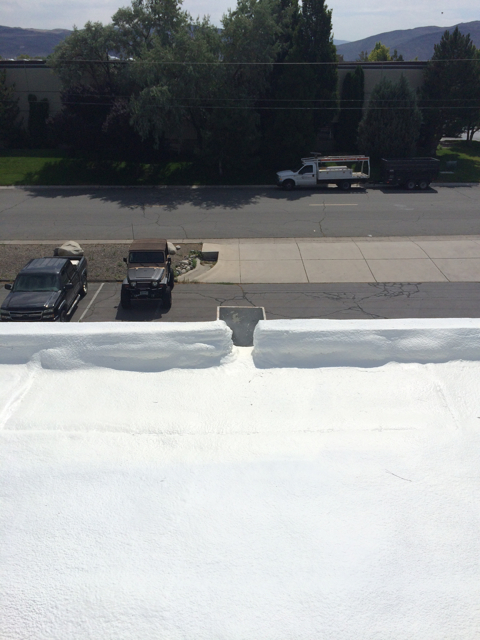 Simplified scupper drains with accessible opening. 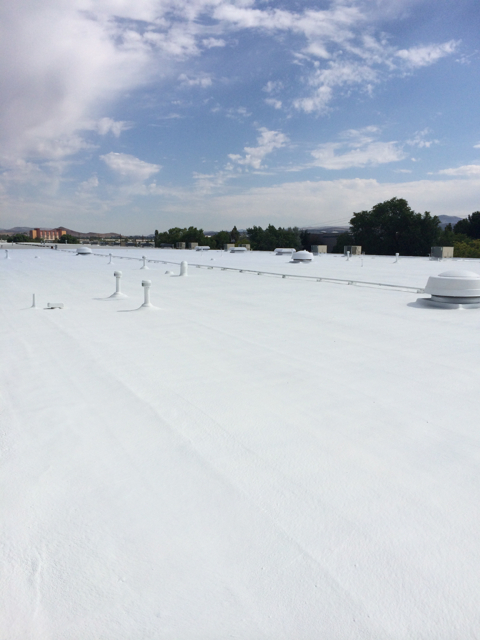 All flashings are encapsulated. 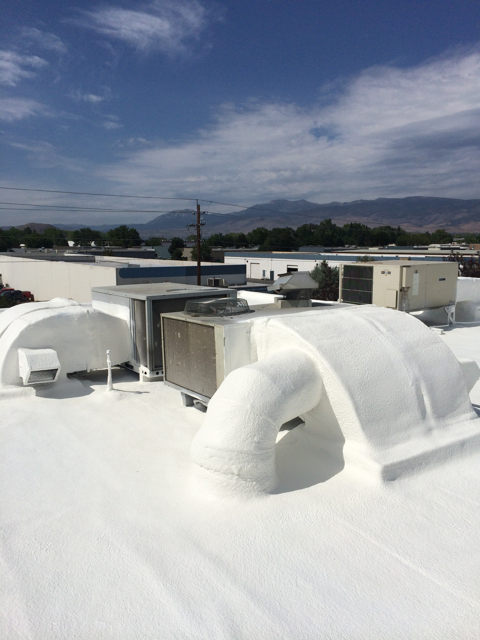 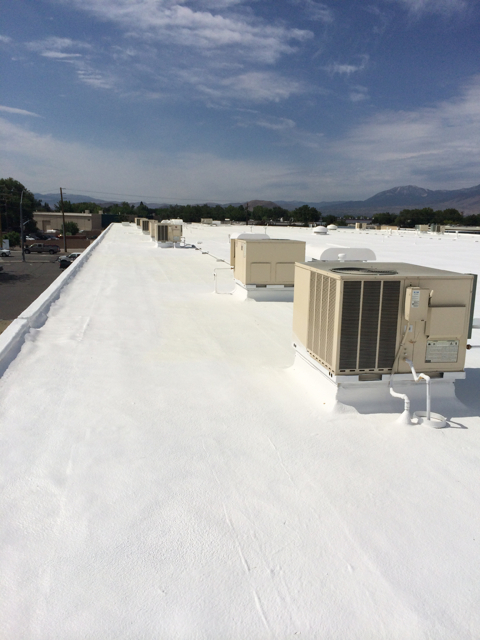 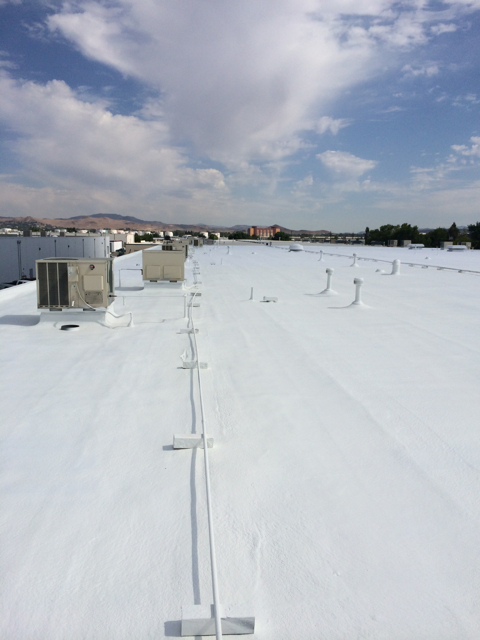 The bright white, seamless spray foam roofing is on the left. 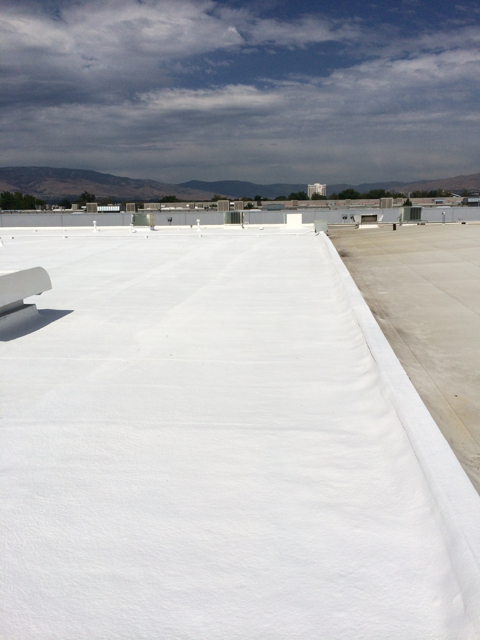 On the right is the thin membrane roof, which has miles of seams and is not fully adhered.